Food additives can help mimic natural flavors and are often simply labeled as "artificial flavors" on labels. Now, the Food and Drug Administration has announced these compounds will no longer be allowed to be used as food additives. The FDA is giving manufacturers time to remove them from the food supply. The decision comes in response to a petition brought by environmental and consumer groups, including the Natural Resources Defense Council, the Center for Food Safety, and the Center for Science in the Public Interest. "We think this is a win for consumers," says Erik Olson of the Natural Resources Defense Council. "Our petition laid out the science" linking these flavoring chemicals to cancer in animals, Olson says. "The law is very clear that any chemical that causes cancer is not supposed to be added to our food supply," Olson told us. The FDA had concluded that these flavoring compounds do not pose a health risk to consumers. "The synthetic flavoring substances that are the subject of this petition are typically used in foods available in the U.S. marketplace in very small amounts and their use results in very low levels of exposures and low risk," concludes an FDA statement on the petition. "While the FDA's recent exposure assessment of these substances does not indicate that they pose a risk to public health under the conditions of their intended use, the petitioners provided evidence that these substances caused cancer in animals who were exposed to much higher doses," the FDA statement says. The federal law spelled out in the decades-old Delaney Clause, which is an amendment to the Food, Drugs, and Cosmetic Act of 1938, stipulates that if a substance is found to cause cancer in humans or animals, it cannot be used as a food additive. 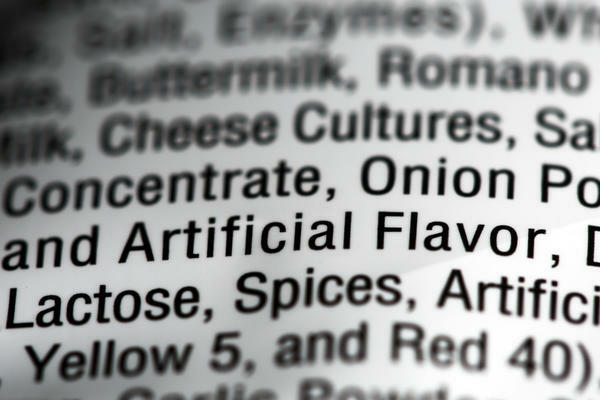 The FDA says it will de-list six of the synthetic compounds from its food additives list, given the evidence that these substances caused cancer in animal laboratory studies. The FDA says the seventh synthetic flavor, styrene, is being de-listed because it is no longer used by the industry. The Natural Resources Defense Council says the compounds that are being de-listed have likely been used in a variety of food products — from ice cream and baked goods to beer and gum. NRDC's Olson says it's tough to know how widely they're used, or in which products, because manufacturers are not required to disclose this information. The trade association that represents flavor manufacturers, The Flavor and Extract Manufacturers Association, released a statement underscoring the FDA's exposure assessment that concluded the flavor compounds do not pose a risk to people under the conditions of their intended use. "FEMA believes that the Delaney Clause demonstrates a limited interpretation of animal studies and cancer by failing to address risk or relevance in humans," the statement says. The FDA, in its constituent update on this action, says it will give manufacturers 24 months to "identify suitable replacement ingredients and reformulate their food products."